Tom Petty has died at the age of 66 after suffering a heart attack at his home in Malibu. The singer-songwriter was rushed to UCLA Santa Monica hospital and put on life support after being found unconscious and not breathing. "He died peacefully at 20.40 Pacific time surrounded by family, his bandmates and friends," said his long-time manager Tony Dimitriades. Tom Petty and the Heartbreakers played the final night of a three-show residency at the Hollywood Bowl on September 25. Their recent tour marked the band’s 40th anniversary and Petty had said the jaunt would likely be “the last big one”. The band earned UK Top 40 hits with Anything That’s Rock ’n’ Roll, American Girl, I Won’t Back Down and Too Good To Be True. Their Top 10 albums include Full Moon Fever (1989), Into The Great Wide Open (1991), 1993’s Greatest Hits and their most recent release, 2014’s Hypnotic Eye (Reprise). 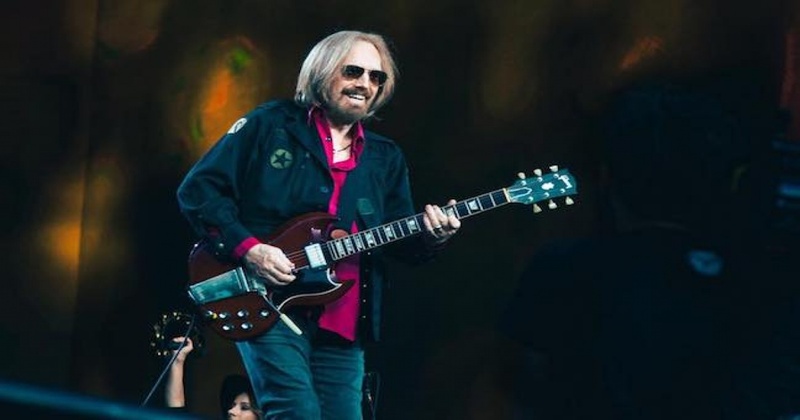 Petty was also a founding member of The Traveling Wilburys, a supergroup with Bob Dylan, George Harrison, Jeff Lynne and Roy Orbison. "It’s shocking, crushing news," Bob Dylan said in a statement. "I thought the world of Tom. He was great performer, full of the light, a friend, and I’ll never forget him." There were widespread tributes even before his death was officially confirmed, including tweets from Neko Case, Ryan Adams, Cameron Crowe, Sheryl Crow and Brian Wilson. Petty played the BST Festival in London’s Hyde Park this summer where he was joined by Stevie Nicks for a version of their 1981 song Stop Draggin' My Heart Around. In February, Petty was honoured as the 2017 MusiCares Person of the Year, in recognition of his “significant creative accomplishments, his career-long interest in defending artists’ rights, and the charitable work he has undertaken throughout his career”. In January 2015, an agreement was reached whereby Petty and Jeff Lynne were granted co-writing credits on Sam Smith's song Stay with Me because of similarities with the 1988 song I Won’t Break Down. There was no suggestion of plagiarism. There was initially confusion about Petty’s condition after CBS News reported he had died, based on Los Angeles Police Department sources. Following widespread coverage and social media tributes, the LAPD later tweeted that “the LAPD has no information about the passing of singer Tom Petty. Initial information was inadvertently provided to some media sources. However, the LAPD has no investigative role in this matter. We apologize for any inconvenience in this reporting”.